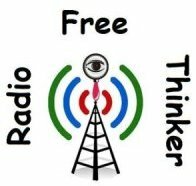 Radio Freethinker is a radio show/podcast that promotes skepticism, critical thinking, and secular issues. best stock terms and their solutions on Who Killed the Avro Arrow? thinedgedev on Who Killed the Avro Arrow? Einstein shows modern science is working. But post-modern science does not need to work. on Science, Tool of colonial imperialism? Einstein shows modern science is working. But post-modern science does not need to work. | Uncommon Descent on Science, Tool of colonial imperialism? Have a question? A comment? Need to get a hold of us for any reason? Simple! Another great option? Become a fan of us on Facebook! If that’s still not enough, you can leave comments on our blogs or come up and talk to us at the many events we attend around Vancouver, we’d be happy to meet you!